"U.N. leader Ban Ki-moon warned Lebanese leaders Wednesday that they must adhere to their declared neutrality on the Syrian civil war. The advice came amid reports that the fighting could spill over the border into Lebanon. “The reported involvement of certain Lebanese elements in the conflict in Syria is contrary to Lebanon’s policy of disassociation,” Ban said in a report to the U.N. Security Council. The U.N. secretary general expressed “grave concern” at reports of Lebanese being killed in Syria and “further deaths of Hezbollah members fighting inside Syria.” “The dangers for Lebanon of such involvement and indeed of continued cross-border arms smuggling are obvious. I call upon all Lebanese political leaders to ensure that Lebanon remains neutral in respect of external conflicts,” Ban said." What business is it for Ki-moon, to comment on Lebanese foreign policy? And what business is it for Ki-moon if a member of the UN does not want to pursue a policy of neutrality? I mean, would he dare say that US lack of neutrality in the Arab-Israeli conflict has been disastrous for the US? He would be locked up in Guantanamo. Also, how come he only named Hizbullah members but not the scores who were killed from the pro-March 14 Salafite elements?? "The reported involvement of certain Lebanese elements in the conflict in Syria is contrary to Lebanon's policy of disassociation," Ban said in a report to the UN security council on Wednesday. More than 300,000 Syrians have taken refuge in Lebanon, which has been bitterly divided by the 23-month-old conflict. The UN secretary general expressed "grave concern" at reports of Lebanese being killed in Syria and "further deaths of Hezbollah members fighting inside Syria". "The dangers for Lebanon of such involvement and indeed of continued cross-border arms smuggling are obvious. I call upon all Lebanese political leaders to ensure that Lebanon remains neutral in respect of external conflicts," Ban said. ...off to Vancouver, British Columbia. Speaking at the University of British Columbia tomorrow night. "In addition to fame, “Indignez-Vous!” brought significant criticism to Mr. Hessel — from those who felt his screed was merely indignant and not in any way prescriptive and especially from those who disagreed with his views on Israel and the Palestinians. Mr. Hessel, whose father was Jewish but whose mother was not, said in interviews that he was a lover and defender of Israel, but he was still accused of anti-Semitism." From Alan: "In case you missed this story as reported today by Al Akhbar. Please note especially the comment below by the Israeli police officer - disgusting. "A Palestinian woman waiting at a light rail station in Jerusalem on Monday was attacked and stripped of her headscarf by religious Jewish women, Israeli newspaper Ma’ariv reported Tuesday................On the day the report was published, Israeli police officer Ariel Shapiro re-posted the article on his Facebook page and issued a chilling endorsement: "Very good," wrote Shpiro "It's a shame that the Arab whore didn't die." "
From "Ibn Rushd": "did you notice that the UAE, like Israel, uses the silly "delegitimation" argument. I wonder if they have the same PR firms. "Towards the end of last week the UAE authorities intervened and said no discussion of Bahrain would be allowed. Rather than accept what it regarded as a restriction on academic freedom, the LSE pulled out, causing the conference to be cancelled. A statement issued by the UAE foreign ministry on Monday said Ulrichsen "has consistently propagated views de-legitimising the Bahraini monarchy". It continued:"
"Unknown to him, as the battle over the creation of the Jewish state raged, teams of Israeli librarians and soldiers were collecting tens of thousands of books from Palestinian homes in Jerusalem, Haifa, Jaffa and elsewhere -- including 256 from Barghouti's home in the Katamon neighbourhood. For Israel, the effort was a way to preserve books which would eventually be returned to their owners. But for the Palestinians, it was theft." How can it be regarded as anything but theft? From Jeorg in Berlin: ""The French left as well as the the right have dreams of imperial expansion. A number of NATO participants share a vision of the Mediterranean as a NATO lake, an internal sea, surrounded by Europe. The dream is to extend Europe around the entire coast of the Mediterranean and over North Africa. The French decision to send troops to Mali must be considered in this context."" From Carlos: ""Of course, the system of the Catholic Church doesn’t resemble Tunisia or Egypt so much as an absolute monarchy like Saudi Arabia. In both places there are no genuine reforms, just minor concessions. In both, tradition is invoked to oppose reform. In Saudi Arabia tradition goes back only two centuries; in the case of the papacy, 20 centuries. Yet is that tradition true? In fact, the church got along for a millennium without a monarchist-absolutist papacy of the kind we’re familiar with today." From a reader: "Israeli settler tells the Palestinian farmers: "Listen, my fathers are Abraham, Isaac and Jacob. Now you listen to me. Soon the Messiah will come. He'll be here any minute. You understand this well. It's also written in the Koran. When the Messiah comes, you'll be our slaves. ... You'll all be our slaves, if you're worthy, if you behave well." * Click on the "CC" button at the lower right corner on the player to see the English translation." ""They are getting better at basic infantry tactics," said Jeff White, a military analyst with the Washington Institute for Near East Policy. "I've seen videos of tank training, maintenance, and tank-to-tank engagements, including one where rebels took out a government tank from about 1,000 meters" – about six-tenths of a mile." ""French President Francois Hollande will raise concerns about Russia's human rights record with Vladimir Putin on Thursday but he sought to play down differences that might undermine trade ties."" ""Some critics have charged the Catholic Church with Eurocentrism."" The Qatari dictatorship prosecuted and convicted and sentenced a Qatari poet for "insulting" the unelected ruler. I am told that a number of Arab intellectuals, especially intellectuals with the Syrian exile opposition, refused to sign a petition in his support. We should start a petition on line against the Qatari ruler. The chair of the Saudi (powerless, unelected, and ineffective) Shura Council welcomed women members for the first time and said: In the name of the Saudi King, I welcome the pudenda* today. I read that the lousy Syrian regime "denounced" the decision by Israel to begin oil exploration in the Golan heights. Denounce wlah?? Denounce? That lousy cowardly regime, which specializes in protecting Israel while reserving its firepower for internal domestic purposes, forgot that the Golan is Syrian territory? By the way, the Asad family rule did not lose the Golan once: it lost it twice in 1967 and 1973. Where do they get this from? Really? "Sectarianism was a theme sounded Wednesday by the leader of Hezbollah, the powerful Lebanese Shiite militant organization that has aligned itself with Mr. Assad. “We do not want to attack anybody,” the leader, Hassan Nasrallah, said in a televised speech. “But at the same time, let no one miscalculate with us.”" This is such a mischaracterization of the words of Nasrallah: the entire speech was warning against sectarian discord and conflict. How did the New York Times office in Beirut (headed by a woman who does not know a word of Arabic) decide that "sectarianism was a theme" in the speech? It is rather hilarious that when the West picks a native puppet as a leader for some shop, Western pundits immediately rush to offer words of praise about the selected person, even if that person is Karzai or Chalabi or Sanyurah or Fayyad. The recent case is Ahmad Mu`adh Al-Khatib. I read several people (who don't know Arabic) talk about how he is a great orator and that his speeches at the Umayyad mosque must have been mesmerizing. Well, no: appointment to senior clerical roles under the Asad regime are based on loyalty to the regime and not on talents or oratorical skills. In fact, Al-Khatib is a lousy speaker. But then again: who cares when the Cicero of Syria is cited right and left. "saudi commandos to train Syrian rebels on Croatian weapons!!!!" Fadi sent me this with the headline above. "Islamophobia on the red carpet"
"One of the less-reported stories of Oscar season was the nomination of the remarkable Palestinian film Five Broken Cameras in the documentary category. Emad Burnat, the film's protagonist and co-director, filmed five years of unarmed protests against land confiscation and the building of the separation wall in his West Bank village of Bil'in. When Emad, his wife and 8-year-old son Gibreel arrived in Los Angeles to attend the award ceremony, they were detained and questioned at the airport. Despite the fact that Emad had his official Oscar invitation, they were threatened with deportation by immigration officials, who apparently could not believe a Palestinian could be nominated for an Oscar. ""Egyptian forces flooded some of the tunnels earlier this month. "The court ruled to make it obligatory that the government destroys the tunnels between Egypt and the Gaza Strip," Judge Farid Tanaghou said. An estimated 30 percent of goods that reach Gaza's 1.7 million Palestinians come through the tunnels, circumventing a blockade imposed by Israel and Egypt for more than seven years."" ""But there's no question, as Rosenberg notes, that "throughout the war, the United States military and the CIA have organized and trained clandestine militias. A number still operate, and remain beyond the knowledge or control of the Afghan government." Recall that the CIA got caught making payments for years to Karzai's suspected drug-running brother, Ahmed, "for a variety of services, including helping to recruit an Afghan paramilitary force that operates at the CIA's direction in and around the southern city of Kandahar". These are the US-controlled militias, beyond the authority of the Afghan government, on which the US intends to rely if and when it "withdraws" from that country."" How many weapons are there in the U.S. nuclear arsenal? ""4,688 That's the latest estimate from Hans Kristensen at the Federation of American Scientists. If, like me, you don't have a security clearance, this is the closest we can get to an understanding of how many nuclear weapons the United States currently maintains in its arsenal: [T]he size of the stockpile is important because although the administration has declassified 64 years of its history, its current size is – yes, you guessed it – still a secret. In fact, officials have told us that the 2010 disclosure was a one-time decision, not something that would be updated each year. So all stockpile numbers after September 2009 are still secret. Deep in the dark corridors of the Pentagon there are still people who believe this is necessary for national security."" From Amir: "" "The United States' commitment to the central Africa region and to Africa is long term," said Brig. Gen. Peter Corey, deputy commander of U.S. Army Africa (USARAF), who spoke during the event."" "On Tuesday, meanwhile, the coalition was forced to backtrack from earlier claims that Taliban violence had decreased across Afghanistan in 2012, citing a math error. Coalition officials had said Taliban attacks decreased by 7% in 2012, bolstering U.S. claims that the insurgency was weakening. However, in response to inquiries from the Associated Press, the coalition said it had made a mistake in its reporting and that there was no decrease." From Don in Berlin: "The first rocket since the ceasefire came into effect was fired from Gaza yesterday. It landed outside Ashkelon not causing any damage. As expected the event was widely reported and discussed in the western media. What they did not report the last three months and most media outlets even forgot to mention now, are the astounding more than 100 ceasefire violations by Israel that have been recorded since November. Four Palestinians have been killed in Gaza by Israeli soldiers and more then 90 were (really) injured during that time. Ben White has an interesting info graphic about this in his Aljazeera Online Oped: It "depicts the number of attacks on the Gaza Strip by the Israeli military during this three-month period, as well as the number of Palestinian attacks emanating from Gaza. Since late November, Israeli attacks on the Gaza Strip have averaged over one a day, every day”. Loyalty to Sons of Zayid only: UAE on the threat of "duplication of allegiance"
From Basim: "Members of the UAE branch of the Muslim Brotherhood still pledge allegiance to its leader in Egypt, an expert on the Islamist political group has alleged. To swear allegiance to Mohammed Badie, the Brotherhood's leader since 2010, members sit on the floor of a darkened room in front of a round table with a gun and a Quran, "representing religion and power", Mr Al Kharbawi told an audience at a seminar at Zayed University. "To give allegiance to someone else? A duplication in allegiance is very dangerous." Dr Salem Humaid, founder of Al Mezmaah Studies and Research Centre, who organised the seminar, said: "This was not known to us, we now know. This is dangerous." With Sheikh Nahyan bin Mubarak, the Minister of Higher Education and Scientific Research, in the seminar audience, Mr Al Kharbawi spoke of the Brotherhood's history in the UAE and the dangers it posed." From Martin: "I found it a bit surprising that you would give much credence to the article about the Russian ships in Syria – it’s a bit questionable in my opinion. According to the author’s stellar and cutting edge analysis, the dilapidated vessels are solely in the region to fulfill Russia’s desperate need to re-emphasize its global military superiority. He seems to disenfranchise them from any motive to provide tangible aid to their strategic ally. Old rickety naval relics? Fine…but he himself stated their eligibility as freighters and cargo ships. Isn’t the use of non civilian transport mediums that cannot be stopped, scrutinized, seized, or intercepted in international waters/airspace just what the doctor ordered for the hardware/ordnance hungry Syrian government? Look how Lavrov and his foreign ministry colleagues scramble to make profuse excuses about how their “routine weapons” shipments are merely the fulfillment of old existing contracts – the Russian’s seem really averse to this sort of PR so they might see such disguises and theatrics as necessary for “special/unscheduled” parcels. Anyway I’m no expert on maritime law nor on the nature of the current restrictions or pressures on Russian air and sea traffic to and from Syria so i could be spitting in the wind here, but the plane intercepted in Turkish airspace and the ship carrying Syrian helicopters that was forced to return to Russia come to mind…..just thought id throw it out there if you ever get to reading this". "Gulf tourists spent the most amount of money per head in the UK in 2011 as tourists spending power reached a record GBP£18.5bn (US$27.9bn), according to new data. Tourists from the oil-rich GCC spent GBP£442 per head followed by visitors from Nigeria (GBP£432) and China (GBP£405), the UK’s main tourist body VisitBritain said." "ending one of the most painful episodes between the two allies." Poor Israel. It must have been really painful to spy on the US. Poor Israel. When armed groups are accused of committing massacres, Human Rights Watch (even in communication with me) claims that it will investigate. I have not yet heard of one conclusive report on massacres or car bombs by armed groups. In fact, they claim it is not easy to investigate in Syria due to the dangers. But when the government commits a war crimes (as it habitually does), Human Rights Watch finishes its investigation in a matter of days: "“The extent of the damage from a single strike, the lack of aircraft in the area at the time, and reports of ballistic missiles being launched from a military base near Damascus..." So if there are "reports" why investigate? Just publish those reports. But please tell me: what are those reports? Who violated the cease-fire in Gaza? The headline in the New York Times says: "Israel Struck by Rocket From Gaza After a Death." The text of the story says: "Israel has violated the cease-fire several times by firing on fishermen and farmers approaching newly relaxed security perimeters, but the agreement has otherwise held." There is no such organization by the name of Friends of Hamas but there is a real American organization called "Friend of the Israeli Defense Forces" and contributions to the Israeli terrorists is tax deductible. Several Palestinians were prosecuted in California years ago because they attended a party for the PFLP. This is American justice. "“It wasn’t funny,” Mr. Foxman said. “It was ugly.”" Are you funny, Mr. Foxman? Because I really think that you are the life of the party. I bet you are a lot of fun on college campuses. "Few issues resonate more deeply in Palestinian society than the plight of prisoners: about 800,000 have been detained in Israeli jails since 1967..."
Wood 2 - 2198 Health Sciences Mall, UBC, Vancouver, BCFriday, March 1, 2013 at 6:00pm"
By the way, lest there be confusion or misunderstanding, Dany, the Hizbullah fighter/commander who appears on recent Western articles on Hizbullah, is not to be confused with his comrade, Billy Bob of Hizbullah. Dexter at this point faces a crucial choice: He was apparently not granted access to Hizbullah “officials” for his New Yorker piece and instead relied on ONE anonymous source (first described as an “officer” then later a “commander”) “Dany” for the entire several thousand word part about Hizbullah and its own thinking (Dani, of course, also seems to turn up with similar quotes in a McClatchy piece a day later, strangely enough). Filkins essentially deceives Mitchell who may have thought that he met with Hizbullah “officials” for his big piece… but actually, he only met an anonymous Dany in their officialdom – also described as a mere fighter – who does not pass the smell test for much of anything – and who is NOT an “official” in any case. And please, leave out the hope that Filkins could be on OK journalistic grounds with his confident answer of WHAT HIZBULLAH is thinking, deeply, since he talked to two of the most anti-hizbullah “officials” in town – Jumblatt and Shattah (ex-official). Plus, either way, Jumblatt being in government with hizbullah, as any of his dinner party guests know and as all of my students know, has ZERO to do with an objective analysis of course! Filkins then demonstrates why he was so badly equipped to do a story on a country or two that he has little experience in: he says this: “they [Hizbullah] are helping a largely shiite regime in syria.”"
Where is the UN Security Council? ""Six underground storage tanks at the Hanford Nuclear Reservation along the Columbia River in Washington state were recently found to be leaking radioactive waste, but there is no immediate risk to human health, state and federal officials said on Friday." "The 586-square-mile (1,518-square-km) Hanford Nuclear Reservation was established near the town of Hanford in 1943 as part of the Manhattan Project, the U.S. government program that developed the first atomic bombs."" (And in appreciation to his services, the Republican Party in US Congress, which he joined after obtaining citizenship in the era of George H.W Bush, the medal of freedom, in 1994, and he is the fourth person after Ronald Reagan, Margret Thatcher, and actor Sharlton Heston. He also won the medal of Ellis Island which is presented to prominent immigrants or their descendants who had made great contributions to the American civilization." PS I once was visiting Houston and asked friends who are physicians there, and they laughed at his bombastic claims. No one knows who he is, one of them told me. "In an interview on Al-Jazeera, Jumblat also said “the Lebanese government has failed in implementing the self-dissociation policy, which prompted March 14 parties to fight on the side of the Syrian people."" From Krim: "I love it how Americans like to harp that they have a so called free press. I guess what they really mean is free to parrot their government's foreign policy orientation. I stumbled on this from Yahoo New's home page, it's a picture gallery by Reuters titled "Off duty rebels in Syria". It's basically a slideshow humanizing the anti-government fighters in Syria. Would the free and brave Western press ever give such a humanizing treatment to the Taliban? And look at the language used in the caption, calling them rebels in Syria and insurgents in Afghanistan." From Ali, the Turkey correspondent: "There are some rumors in Turkey -still impossible to verify- about the hidden wars between some FSA groups and Al Qaeda affiliated ones mostly operating in northern Syria. Syrian media has been reporting the deadly strifes of the FSA groups that cannot share the troophies of looting but what I am telling is you a little bit different. According to rumors, some FSA groups (mostly in Aleppo) informs Syrian army about the their rival groups and thus the attacks of Syrian army becomes more deadly. One of my journalist friend (prefers not to be named) told me that sometimes FSA militants informing the army about the Al Qaeda affiliated groups who are much more stronger and refusing to cooperate. "They inform the army about the location of arm depots, the location of headquarters or even field hospitals of the rival groups and these critical informations help army to destroy easily its strtategic targets. For instance, army hit one of headquarters in Azaz las month with the help of a rival group. Sometimes they give the information for money..." he told me. " From Khelil: "Anyway, this is how the Wall Street Journal renders جمهورية into English: Gomhurry Party. I mean, if Tunisians spoke 'Egyptian' it would make sense, hehehehehe". "A Qatari poet jailed for verses deemed seditious and insulting to his nation's emir faces 15 years behind bars after an appeals court cut back on his prison term Monday. Human rights groups were outraged in November when a Qatari court first ruled that Mohammed Ajami must spend life in prison for penning verses that allegedly urged the overthrow of the government and insulted the emir." ""Argo and Zero Dark Thirty are only the latest film productions the CIA has influenced in the 15 years since the Agency opened its official liaison office to Hollywood. Tricia Jenkins examines the history of this version of "Hollywood confidential" in The CIA in Hollywood: How the Agency Shapes Film and Television. Short and dry, her book raises serious ethical and legal questions about the relationship between the CIA and Hollywood, and the extent to which we consume propaganda from one through the other."" ""The U.S. military has determined that its forces weren't involved in the alleged abduction and killing of civilians in a troubled province in eastern Afghanistan, officials said Monday. "In recent months, a thorough review has confirmed that no coalition forces have been involved in the alleged misconduct in Wardak province," Lt. Col. Les Carroll, a spokesman for the U.S.-led coalition in Afghanistan, said in a statement."" ""Family physicians' offices appear to discriminate against people of low socio-economic status, even when there is no economic incentive to do so under Canada's system of publicly-funded universal health insurance, new research has shown."" Of course, I maintain that the alliance between Hizbullah and Syrian regime--as objectionable as it is--is political and not sectarian. Hizbullah was in a state of conflict with the regime from 1982 until late 1980s (if not later) but no one said that the conflict was due to a conflict between Twelver Shi`ism and `Alawite sect. And Nicholas (see post below this) is absolutely right: Shi`ite twelvers do consider `Alawites to be heretical. – This may make good copy but it is highly inaccurate – the Alawites are regarded by some large pockets of shiite thinking as unbelievers (especially in Iran)…. they are NOT AT ALL LIKE THE SHIITES OF HIZBULLAH… period. And lets leave aside the Baath party anti-religious side and the Hizbullah-Baath conflict etc. Filkins may never have met an allawite (especially an allawite man), but celebrating easter, drinking on occasion and having “churches” is NOT a Hizbullah pasttime. So leave out the religous side which you dont understand. At 3:32 – the purpose of Dexter’s piece – despite the occasional piety towards avoiding the unknown ahead, becomes clear: His piece and his “Dany” (or Ender’s “Dani”) showed that Hizbullah deeply fears the sunnis…. they should be taken down…. they think that the fall of assad means they are on their death bed… so ARM THE REBELS. Or at least that is the emotion he evokes here at 3:32." Moderate Syrians supported by Saudi Arabia! "Two days ago Washington Post claimed that for weaken An Nusrah , moderate groups were given weapons from the depots of a Balkan country. By the way, I checked the fresh videos of FSA on Youtube. In many of them members of Al Farouq battalion are using these new and sophisticated weapons. "Moderate" Al Farouq really? As far as I remember, because of their "jihad" in Homs, majority of Christians have to flee to Lebanon and some of them said that Al Farouq forced them to pay jizziah..."
From Bahrain correspondent: "More on the LSE conference incident. Bahrain is thanking the UAE for its censorship. The most outrageous thing is the last sentence of the article "It called for "special care" to be taken to ensure impartiality and credibility in GCC universities." "You really need to watch this video. Its gone viral on Bahrain's twittersphere. Here's a news report about it: Activists have the license plate number of the SUV but the police are refusing to do anything about it." From Angry Arab's chief Bahrain correspondent: "Just a random FYI - Bahrainis are now banned from importing the Guy Fawkes mask. Its been really popular with protesters." From David: "Human Rights Watch said it compiled a list of those killed in the missile strikes from cemetery burial records, interviews with relatives and neighbors, and information from the Aleppo Media Center and the Violations Documentation Center, a network of local activists. I wish they would be honest and replace the word 'interviews' with "Skype sessions"." To send money to those terrorists is tax deductible in the US. Supporting the children's movement is considered an illegal act of terrorism, also in the US. "'Wired for Repression' reveals how Western companies provide surveillance systems to authoritarian countries that claim some of the world's worst human rights records including Iran, Syria, Bahrain and Tunisia." ""Dr Nick Draper from University College London, who has studied the compensation papers, says as many as one-fifth of wealthy Victorian Britons derived all or part of their fortunes from the slave economy." "Among those revealed to have benefited from slavery are ancestors of the Prime Minister, David Cameron, former minister Douglas Hogg, authors Graham Greene and George Orwell, poet Elizabeth Barrett Browning, and the new chairman of the Arts Council, Peter Bazalgette."" Vanessa Redgrave 1977 Oscar speech: "Zionist hoodlums"
From Asa: "I've read your refer to it before: here is video of the actual speech. She's actually booed by a section of the audience purely for using the phrase "Zionist hoodlums"!" ""Egyptian border guards have blocked an attempt to smuggle around 20,000 litres of diesel fuel and gasoline via tunnels under the border with the Hamas-ruled Gaza Strip, the Palestinian Maan news agency reported Saturday. Last week, Egyptian and Palestinian officials told AFP that Egyptian forces flooded the tunnels in an attempt to shut them down."" ""Jewish youths on Sunday attacked a 40-year-old Palestinian cleaner in Tel Aviv, Israeli media reported. Hassan Ausruf was filling the water tank of his street cleaning vehicle when around 15 youths attacked him, his wife told the Israeli daily Haaretz. "He asked them why they were attacking him and they told him with utmost chutzpah 'because you're Arab,'" Nariman told Haaretz."" ""More strikingly, the animal advocacy group got a leaked video of a Coast Guard combat medical training exercise that featured an instructor whistling as he severed a goat's limbs with tree trimmers."" “Our forces ask for air support from foreigners, and children get killed in an airstrike,” Karzai said in a speech at a military academy here, reinforcing his often truculent posture toward the U.S.-backed international coalition that has long supported his government." My latest blog post for Al-Akhbar English: "How to Cover Syria from Beirut, Lebanon". The flight to SF from Denver has been delayed until 1:00 AM, which means I shall arrive home from SFO by car at around 5:00 AM. And I have to wake up at 6:00 AM. And how has your day been?
" " "Our information was that Jaradat was being interrogated and then he died. Therefore we call for an international investigation into his death, that may have resulted from torture," Palestinian Minister of Prisoners Issa Qaraqea said."" " "The M-79 anti-tank weapons in particular appear to be giving the rebels new confidence to attack government positions and armor, said Jeff White of the Washington Institute for Near East Policy, who says he also noted the unexpected appearance of the weapons in rebel videos several weeks ago."" When you see such reference to "secular" it merely refers to the gangs of the Free Syrian Army". " Activists reached via Skype also reported what they described as rival demonstrations in the city of Kafr Nabl in northern Idlib Province, a rebel-held area, between a group calling for the establishment of an Islamic caliphate and a group seeking a secular state." How the New York Times corroborate opposition "assertions" on Syria.
" The assertion, which appears to be corroborated by videos posted on the Internet..."
This is a bad piece of reporting. 1) it makes it sound that if it wasnt for the incompetence of the Lebasnese government Western aid would have bern pouring into Lebanon. 2) she has the dubious honor of being the only Western reporter who refuses to mention the role of Hasriri family in arming with Saudi intelligence of asrmed gangs in Syria. 3). she focuses ob racism asnd hostility by christian allies of hizbullah toweards Syriasn refugees while ignoring similar hosility and racism by Christian elements in March 14 movement. 4) she mischaracterizes the stance of hizbullah when she said it was a poisition of denial about syrian refugees when Nasrallah publically broke with his ally Awn and called for separating the humanitarian issue from the political issue. 5) she cites an Arabic expression when she admitted to me that she does no know Arabic. 6) she singles out certain hariri run Sunni villages for praise in their treatment of refugees without informing readers thst those villages are also Qaidah affliated and are allies of Nusrah front. 7) she ues Zionist language in referring to the expulsion of Palestinian refugees in 1948 and falsely talks about a flight from "the arab- israeli conflict" as if the Palestinins are bystandards. Oh finally, Ms barnard has just been appointed Beirut bureau chief for New York Times. p.s. sorry for typos. I am on the road and using a sony xperia tablet.
" 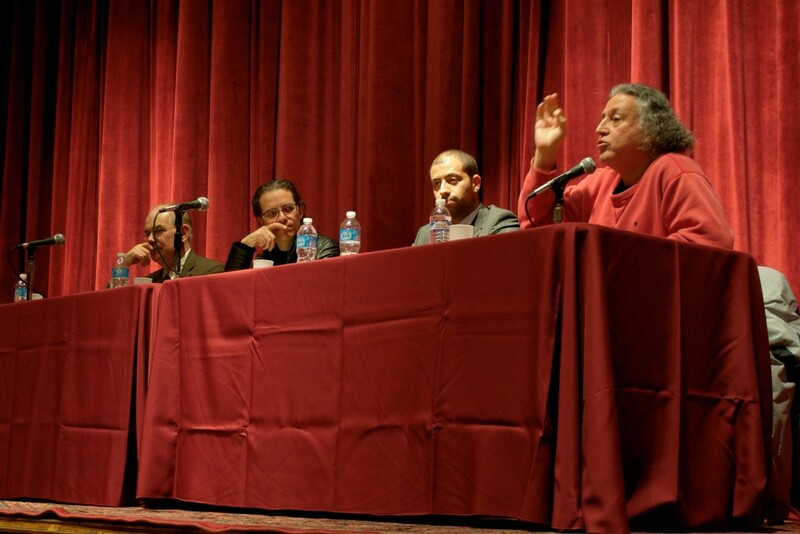 As’ad AbuKhalil, a Lebanese-born professor of political science at California State University, Stanislaus, dispelled what he considered common Western misconceptions of the Palestinian resistance movement to Israeli occupation, such as that the Palestinian resistance had always been violent. “The Palestinian people have been in a state of resistance for over a century,” he said. “But the movement began its resistance nonviolently, in the same ways as the rest of the civil rights movements throughout the world—petitions, demonstrations, sit-ins, peaceful letter writing campaigns, poetry—in the 1930s.”"
Americans invariably cite the positive things that de Tocqueville had to say about the US. Yet they never include the negative things like his annoyance at American propensity to say positive things about the US and their insistence that foreigners join in the praise. He thought for example that the press in France was freer and more eloquent than the press here. Contrary to Arab Alevis (or Alawites as in western media) Turkish and Zaza Alevis were completely irrelevant with Syria (Kurdish Alevis were mostly against Assad rule, because of the situation of Kurds in Syria) before the rampant sectarianism but now I may easily say that they are all supporting Assad thaks to the discourses of the government. When I read the news about Turkish Alevis in western media they also claims that “Alawites” are sensitive on Assad because of sharing the same sect, this is the cheapest way of propaganda and they are obviously relocating the causes and effects." 2. 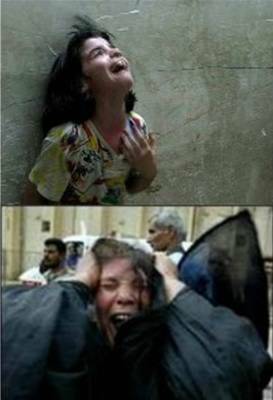 "We are making the lives of millions [of Palestinians] unbearable, into prolonged human suffering, [and] it kills me. "—Carmi Gillon (1994-96). 3. "We've become cruel. To ourselves as well, but mainly to the occupied population." Our army has become "a brutal occupation force, similar to the Germans in World War II. Similar, not identical. "—Shalom, who clarifies that he is referring to the Nazis' persecution of non-Jewish minorities." " "The drones will be based at first in the capital, Niamey. But military officials would like to eventually move them north to the city of Agadez, which is closer to parts of Mali where al-Qaeda cells have taken root. "That's a better location for the mission, but it's not feasible at this point," the official said, describing Agadez as a frontier city "with logistical challenges." The introduction of Predators to Niger fills a gap in U.S. military capabilities over the Sahara, most of which remains beyond the reach of its drone bases in East Africa and southern Europe. The Pentagon also operates drones from a permanent base in Djibouti, on the Horn of Africa, and from a civilian airport in Ethiopia."" " "Despite accusations of violence against Ishaq reaching back decades, Pakistani author and analyst Ayesha Siddiqa cautioned that the terror leader's arrest could be nothing more than a public relations move by the Pakistani government. Siddiqi said Ishaq was likely taken into custody merely to "cool the rising tempers" over the wanton violence."" I had a bad dream in my first night in Colorado. I dreamt that I moved out from my parents' home in Beirut into a group home in Dupont Circle in Wasington DC. Thomas Friedman was my roommate in that home. We moved in and Friedman and I were looking down from the window when he fell out of the window straight on his head. I alas could not save him. True story--i mean true dream.
" This is a good blogpost analyzing the recent Wall Street journal article on the Khawalid (in fact the khawalid are this blogger’s specialty). 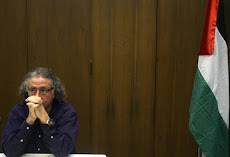 Abdel Hadi Khalaf, as I have pointed out to you before, is a Bahraini leftist dissident and academic based in Sweden. I hope you get to meet him some day because you would really like him. The recent discovery of the Khawalid by the Western media is quite interesting. They are quite late as usual. Bahrainis have been talking about them for some time now, at least since the mid-2000s, and especially when the Bandar Report, detailing the regime’s political naturalization program. The King, which has the image of a reformist in the West, allowed the Khawalid to operate freely in Bahrain ever since his ascent to the throne while at the same time, allowing the Crown Prince to implement his economic reform projects (which may have actually accelerated the uprising as it lead to an increasing gap between the rich and the poor – Kind of like Bashar AlAssad economic reforms which Bassam AlHaddad talks about in a Jadaliyya article). This was extremely smart. As Bahrain implemented political naturalization and became increasingly repressive and sectarian, it also became more economically liberal. Political naturalization/sectarianism and the crackdown on dissent were the Kings insurance plan just in case the people aren’t satisfied with Bahrain’s economic reforms. As the same time, the economic reforms allowed the King to portray himself as a reformist. It is a stroke of genius I have to say but unfortunately for him, February 14, 2011 came along. Of course the sectarianism that the Khawalid nurtured among ordinary sunnis in Bahrain against the shia was quite useful during the uprising and the regime was able to portray the uprising as a shia threat against sunnism. Sunnis who participated in the uprising were placed on a list of sunni traitors and many of the prominent ones were arrested and severely tortured. Indeed, the sectarianism that resulted is quite unprecedented. During the intifada of the 1990s, I never heard derogatory terms such as safawis, majoos, rafidha, awlad almutaa etc. uttered in Bahrain. They are quite common now and you even hear these terms used on national television and in loyalist newspapers. Of course the rise of salafism and wahabism in the Arab world has made this even worse as has the role played by the sectarian government of Iraq. We never had religious extremists in Bahrain (well if we did they were a minority and were mostly ignored) and now they are extremely powerful. I can’t see this ending unless the entire Arab world moves away from political Islam. Back to the Wall Street journal article, the new twist is the focus on the anti-western sentiment of the Khawalid. I like how the West nurtures the rise of these people and then all of a sudden freak out when they end up being anti-western. Of course so long as America’s interests are secure no one is going to care. After all the anti-western sentiment displayed by the Khawalid is all talk and for public consumption and is kept in check by the strong alliance between the regime and the US and Britain." "Libyan Arab Airlines Flight 114 (LN 144) was a regularly scheduled flight from Tripoli to Cairo via Benghazi. An aircraft serving this flight was shot down by Israeli fighter jets in 1973. What fails the Smell Test here is that both Enders and Filkins employ a fake name “dany/dani” who 1) says the same thing in two different pieces for two different news orgs and 2) he says DAMAGING THINGS about Hizbullah that give the appearance to the unknowing reader in the US that the reporter has managed to really get inside the super secret, evil apparatus of HIZBULLAH! Even though, for those of us a bit more familiar with the terrain, the whole “dany” episode smacks of many past examples over the years of either “false flag” operations or an unknowing journo getting duped. I certainly hope, at the least, it is NOT the case of journos and activists manufacturing quotes, sources, scenes etc as we see on occasion in Syria, Iraq int he past etc (as but two examples). ""Israel's Ministry of Energy and Water Resources has awarded the first energy exploration license in the disputed Golan Heights to a local subsidiary of U.S.- based Genie Energy Corp. (GNE) "The company believes, based on its preliminary analysis and interpretation of existing geological data, that the newly issued license area may contain significant quantities of conventional oil and gas in relatively tight formations," Genie Energy said today in an e-mailed statement. The Golan was captured by Israel from Syria in the 1967 war, and again served as a battlefield when the Syrians unsuccessfully tried to retake it in the 1973 conflict."" ""Boeing [NYSE: BA] and Abu Dhabi Autonomous Systems Investments Company (ADASI), a Tawazun subsidiary, today signed a teaming agreement for the two companies to address the growing Middle East market for unmanned systems."" ""The US state of Georgia has hurriedly executed Andrew Allen Cook amid a legal scramble to carry out capital sentences before its supply of lethal injection drugs reaches its expiry date of 1 March." "Georgia is also pushing to execute Warren Hill, who has been diagnosed as intellectually disabled, before 1 March."" ""Harding, a graduate student at NYU, said she felt it was inappropriate to assign elementary school students math problems like, "In a slave ship, there can be 3,799 slaves. One day, the slaves took over the ship. 1,897 are dead. How many slaves are alive?" The second question got even more graphic, asking, "One slave got whipped five times a day. How many times did he get whipped in a month (31 days)? Another slave got whipped nine times a day. How many times did he get whipped in a month? How many times did the two slaves get whipped together in one month?" ""
"UN will not compensate Haiti cholera victims, Ban Ki-moon tells president"
"The Daily Star's mysterious, unnamed, "senior source""
What's the big deal? As if every mid-level March 14 operative and their secretaries don't say the same thing." PS The most viewed story on the website of this Hariri paper is the divorce of Josh Brolin and Diane Lane. "Last year there was a short lived discussion in German media and political circles, if the country really should sell tanks to the house of Saud. It was a surprise that this was discussed at all, because such weapon deals are usually kept secret and discussed and approved without Parliamentary control by the Federal Security Council. Now, after an parliamentarian request for information by the socialist party Die Linke, it turned out that Germany doubled its weapons export to the gulf states in 2012. Best customers and partners in democracy are the GCC countries Bahrain, Qatar, Kuwait, Oman, Saudi Arabia etc. Saudi Arabia alone bought hardware for 1.2 Billion Euros! Unfortunately there are no details on what exactly was sold to Bahrain, but sales also increased there. Another exemplary democracy profiting from increased weapon deliveries was Algeria.. Hypocritical Germany is still the third largest exporter of weapons in the world." "The U.S. military launched 506 strikes from unmanned aircraft in Afghanistan last year, according to Pentagon data, a 72% increase from 2011 and a sign that American commanders may begin to rely more heavily on remote-controlled air power to kill Taliban insurgents as they reduce the number of troops on the ground. Though drone strikes represented a fraction of all U.S. air attacks in Afghanistan last year, their use is on the rise even as American troops have pulled back from ground and air operations and pushed Afghan soldiers and police into the lead. In 2011, drone strikes accounted for 5% of U.S. air attacks in Afghanistan; in 2012, the figure rose to 12%." It is not amusing to read Anne Barnard (the new NYT Beirut bureau chief) consistently strives to justify car bombs by Syrian armed groups. Look at how many attempts she made in this one article: 1) First she says that the bombing is good because it erodes support for Asad regime: "Witnesses, including people who had been living near the party headquarters in the Mazraa district, said the bombings were eroding what little confidence they had left that Mr. Assad’s forces could preserve at least some semblance of normalcy in Damascus, the Syrian capital, where armed insurgents have attacked with increasing brazenness." 2) Secondly she tries to imply that we don't know who was behind the bombing that targeted among other targets the headquarters of the ruling party. "There was no immediate claim of responsibility. The main umbrella opposition group seeking to depose Mr. Assad condemned the bombings as it convened a meeting in Cairo." 3) She then moves to tell you that members of the security forces were killed in the blast: "which the group described as a booby-trapped car next to a military checkpoint. It said that at least 16 of the dead were members of the security forces." so 16 were members of the security forces, and I am sure that Barnard has verified the identity of every one of the 300 dead or injured. She says the same about other blasts: "At least 13 other people in Damascus were killed, 10 of them in the security forces, in two other car bombings near checkpoints in the Barzeh district..." 4) She then proceeds to tell you that even if innocent people are killed in car bombs by armed groups, it does not matter that much because the regime also kills innocent people: "At the same time, the government has decimated pro-rebel suburbs with airstrikes and artillery, leaving vast areas depopulated and traumatized." 5) She then cites unnamed experts to maintain that "extreme" elements were behind the car bombs, thus exonerating the presumably secular and liberal armed groups that the media want us to believe they exist: "Some outside experts speculated that the bombings on Thursday had been carried out by the more militant extremists among the rebels to weaken the government’s argument that it offers security..."
"The testimony also provided a glimpse of Hezbollah’s tradecraft. During a visit to Cyprus in December 2011, Mr. Yaacoub bought three SIM cards, two for Ayman and one for himself. He bought each of the cards at a different kiosk, which Mr. Kannaourides said was to evade detection." So they bought two SIM cards and not one? Wow. Thanks for this important trial to learn about those sophisticated techniques of Hizbullah. "“The regime is killing us, many of the opposition fighters are becoming criminals and the world is watching it like a film.”"
"Both middle-class Syrians and religious minorities are increasingly worried by the way even moderate opposition groups talk of an “Islamic state” to replace Mr Assad’s regime. “We’re bringing back the rule of the Sunnis,” proclaims a fighter in Aleppo’s Tawhid battalion. “We’re the majority, so it’s only fair.” Alawites have reason to be afraid. It is hard to imagine them moving back to mixed cities such as Homs. Many Syrians have for years looked to mildly Islamist Turkey as an example. “But they aren’t an Islamic state,” grumbles a rebel fighter. “We want something stronger.”"
"Gulf countries, including Qatar, Saudi Arabia and Kuwait, have supplied mostly light weapons, many through private donors. Libya has chipped in. But the rebels are equipped mainly with AK-47 rifles, home-made rockets and kit captured from Mr Assad’s arms depots and barracks." So all those advanced weapons that I see in pictures in the hands of the rebels are merely optical illusions? Where is the Committee to Proect (Some) Journalists? Today, the Free Syrian Army bragged that it shelled the building for Syrian TV and radio. Will the committee respond to the claim? Let me guess. Yesterday, the Free Syrian Army issued series of communiques in which it claimed to be battling Hizbullah forces in a Lebanese village east of Hirmil near the Syrian border (the village is Hawsh Sayyid `Ali). The communiques bragged that their shells fell on the infidel Shi`ite mosque. New TV dispatched the dynamic correspondent Nawal Birri to investigate. 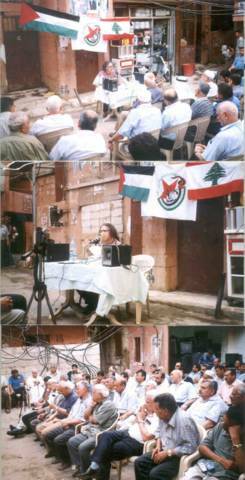 She found no trace of fighting or bombings and the residents were just laughing at the lies and fabrications of the FSA. "Nobody trusts politicians, in Israel especially. There is much more appreciation for the men on the ground, the people who have worked and paid a dear price for their actions." There were car bombs yesterday. In the past, as New TV reported, the Syrian National Council would automatically blame the regime. This time, the Syrian National Coalition (unlike what the New York Times said today) blamed "whoever is behind it", thus almost admitting that Syrian armed groups were behind it. 300 people were killed and injured in the blasts. I never knew that car bombs would become popular until the Western governments and media fell in love with Syrian armed groups. I don't like flags and I don't like nationalisms but for Palestine and the Palestinians everything and anything. Hariri advocates Sa`ud Al-Mawla writes on Salafiyyah in Lebanon. Informative. "Britain’s colonial history is so replete with regrettable episodes". "caused an outpouring of pained reflections about India’s colonial history under Britain." Poor colonizers. Were they really hurt during the reflections? Where did hurt mostly? in the kidney? From Devan: "Though you might find this pretty awful reporting from Gaza interesting. "Omar Shaban, an independent consultant, added: “Hamas and Fatah don’t really understand partnership and Arabs don’t understand democracy." "
I wonder how many people she had to talk to before she got that quote." From Adam: "Their generosity has been unparalleled with the United States, if only their charity would start at home or at least with fellow Arabs that are truly suffering. I love the baffoon that answered the phone with "“Tell me what you need,” the embassy staffer said." I'm doing some research on the people writing about Syria and came across Kenneth M. Pollack, a member of the Washington establishment from the think tank and executive branches. He is currently a senior fellow in the Saban Center for Middle East Policy at Brookings, and previously directed the center for a few years. The Saban Center's website is happy to report that he is fluent in English. Thank goodness for that.